One of the saddest times in my life is always the end of mango season. 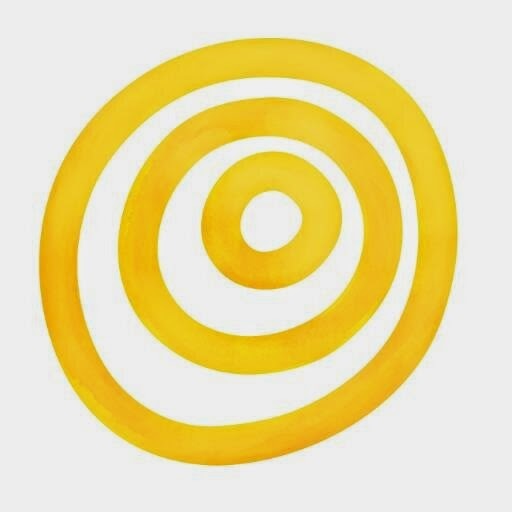 Growing up in India, mangoes were synonymous with summer, and school holidays, and the end of season meant the inexorable approach of the monsoon rains and school starting up again. It was not all bad. We had probably eaten several times our body weight in mangoes by the end of summer. Any unripe mangoes were duly picked, sunned, pickled and preserved for the coming monsoons. The smell of spicy pickles was hard to get out of our skins, and even today, when I smell mustard oil, it takes me right back to those late summer days of sneaking half cured mango pickles out of large earthenware jars. Luckily for me, I don't have to give up mangoes just yet. Despite the season for Alphonsos and Haden mangoes passing, Asian stores here are still well stocked with Ataulfos, which means I can enjoy the king of fruits for a little while longer. And enjoy them, I have. Every week, I am off with my giant grocery bag to the Indian stores (I have an 'in' with their produce guy, who tells me exactly when the mango shipments come in) I buy at least two to three dozen mangoes... which disappear in exactly a week, after which I am constantly reminded to make sure to go to the store for more. I think I may have created a monster mango family. For some strange reason, my thoughts then turned to limes. It crushes my soul every time I pay a dollar for a lime in the grocery store... especially considering that I grew up with a lime tree in my back garden (yes, I grew up with a lot of fruit and vegetables like that, just never appreciated it until it was too late...) It was a prolific tree, more of a bush, really, but prickly as sin, and every time we were sent out to find a lime, we came back covered in scratches, but smelling oh so good! So I bite my tongue, and curse under my breath, but still buy those limes-for-an-effing-dollar, because, let's face it, they are limes. And I am addicted to them in everything. 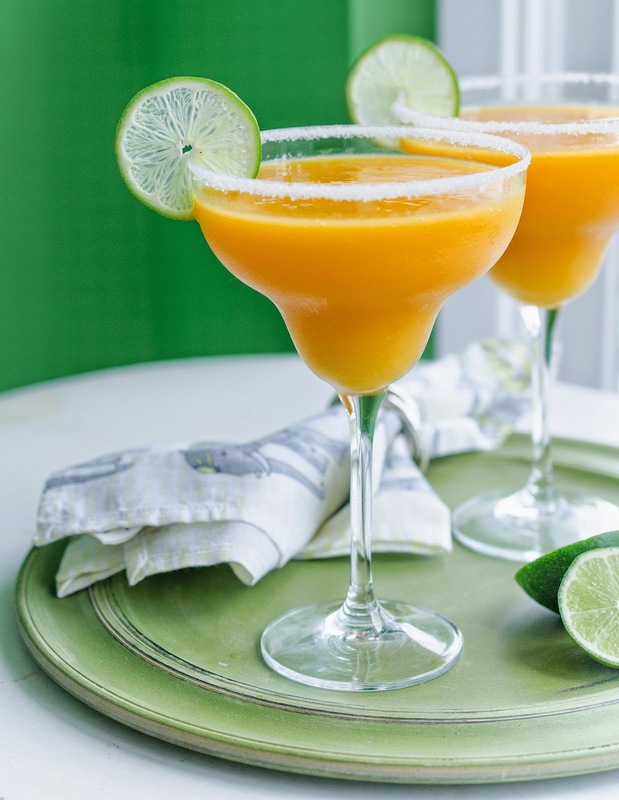 This mango lime margarita is my way of celebrating summer. As soon as the summer sun hits the deck, my margarita season starts. This year, we may have started celebrating a bit early, as we had, what I uncharitably like to call a 'false' spring. The weather was beautiful, sunny and for a while we hoped that spring had arrived and out came the blender... but sadly, the weather turned and we were relegated to sitting indoors, gloomily looking out at the snow showers, drinking margaritas and concocting new ones, 'for when the summer comes'. But spring and summer did finally arrive, and I can confidently say that there's nothing better than sitting out in the sunshine, with a glass (or two, or three) of this margarita in hand. This is what mangoes were made for, surely? 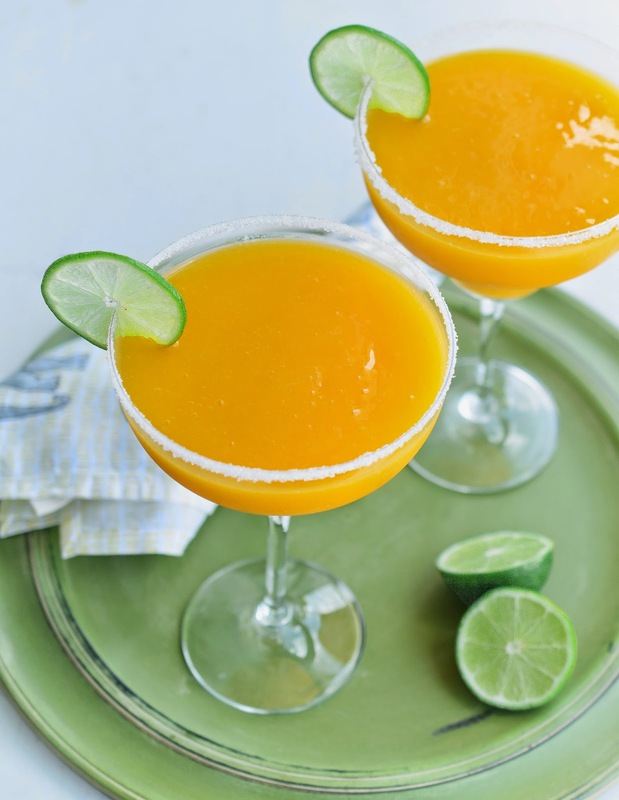 Place the tequila, triple sec, mango puree, ice, lime juice and sugar, if using, in a large, heavy duty blender. Blend to a smooth, granita-like consistency. Mix the sugar and salt in a shallow plate. 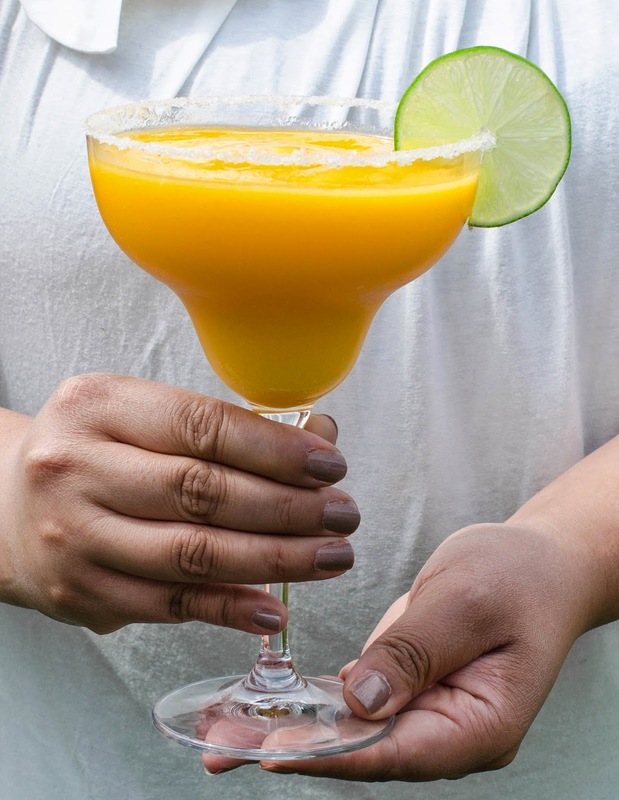 Moisten the edges of margarita glasses, and rim glasses with the sugar-salt mixture. Pour margaritas into the prepared glasses, and garnish with a slice of lime. 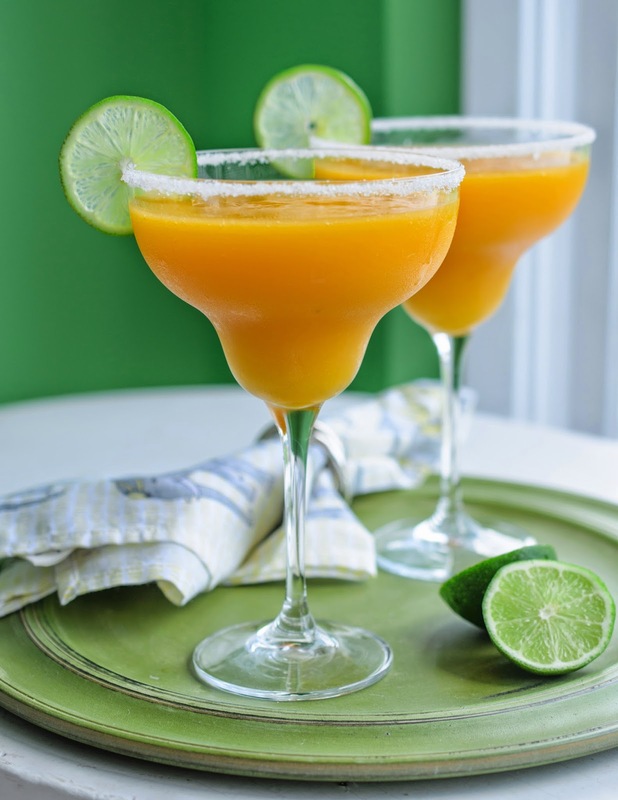 Note: For virgin margaritas, skip the alcohol and increase the mango puree to 1 cup, and add an extra tablespoon of sugar. It's a lovely warm evening here but I knew that something extra was needed and one or two of these would definitely put me right. I don't think I'll skip the alcohol if nobody minds.